So when will Islam undergo a reformation? When will Muslims catch up with modernity and join the 21st century? Why is Islam such a violent religion (while others are supposedly so peaceful)? Why are Muslim women so oppressed? When will “they” stop scaring “us” with words like “caliphate,” “sharia,” and “jihad?” Why are “they” incapable of democratising? In my twenty-two years of teaching Arabic and Islamic Studies in the American academy and publicly speaking and writing about Islamic issues, I have probably heard every kind of naïve and uninformed comment that can possibly be made in the West about Islam and Muslims. Such remarks are not necessarily all due to ill will; most of the time they express bewilderment and stem from an inability to find accessible, informed sources that might begin to address such widespread public incomprehension. Add to that the almost daily barrage of news and media commentary that inevitably have to do with violence in the Middle East and South Asia that is viscerally connected with Islam and Muslims. With hopes deflating in the aftermath of the Arab Spring as the democratic wave appears to be subsiding and as barbaric ISIS members continue to inflict terror wherever they rule, Muslims seem to be descending into a spiral of violent nihilism and Islam appears as nothing more than a spent force, incapable of regenerating itself. This is a narrative that has considerable staying power these days and draws its strength from above all the pervasive Western media that frequently reinforces such perceptions with selective reporting on Muslim-majority societies. The journalistic bar for news reporting is usually very low – sensationalism is an essential criterion. What goes on in the daily lives of ordinary people is very nearly completely occluded; the diversity of voices and opinions that continue to characterise Muslim-majority societies and the rich spiritual and intellectual resources available within the Islamic tradition (both as a religion and civilisation) for regeneration and reform receives little attention. Muslims are firmly a part of the modern world and they are grappling with the challenges of modernity in myriad ways. Many of them are navigating modernity’s sometimes uncharted waters with creativity and imagination, re-engaging with their tradition and revisiting their history, as many non-Muslims are doing with their respective traditions and histories in similar contexts. Muslim academics, thinkers, and social activists are spearheading hermeneutic and revivalist projects, mostly occurring below the global radar, that are shaping and being shaped by modernity – or, more accurately, modernities. For there is more than one way of being modern, each being pegged to a society’s particular historical trajectory and cultural specificities. This realisation is fundamental for appreciating the different paths to modernity that various societies can and do take; the Western paradigm of secular modernity is hardly a universal one. It is rather a parochial model spawned during the specific concatenations of historical events in the European past. Other societies and civilisations are “indigenising” modernity in ways that are compatible with their own lived, historical experiences and socio-cultural institutions. Muslims – both men and women – are as engaged in the process of negotiating modernity as anyone else, often insisting (against great external pressure) that they do so on their own terms. Many of them are rereading their religious texts for guidance in this process of negotiation; for religion, in their experience, is an ally, not an enemy of the modern world. Sometimes this process entails questioning specific provisions of classical Islamic law, erroneously dubbed Sharia. The Sharia cannot be reduced to legal rulings that are the product of human rational deliberation. The Sharia is the repository of eternal, universal principles that prod humans into being the best they can be, principles that need to be interpreted and reinterpreted through time to allow for human growth and flourishing in changing circumstances. Muslim-majority societies are also experimenting with democracy, sometimes against great odds. There are forces of obscurantism in their midst, occasionally violent, that will have none of this. Isn’t the caliphate good enough for them, especially as an antidote to democracy, which is after all a foreign invention? Except that poll after poll convincingly shows that Muslims want representative, accountable governments chosen by themselves through the ballot box, all of which is deemed to be consonant with the principles of the Sharia that call for the adoption of consultative processes (shura) in administrative matters. A majority of Muslims are therefore clearly on record as wanting both democracy and Sharia, both of which they understand to have been embodied in the earliest caliphate of the four Rightly-Guided rulers that came into being after the death of the Prophet Muhammad in the seventh century. Thus when ISIS proclaims its sham caliphate, there is a basic reason why mainstream Muslims jeer at it. The Rightly-Guided caliphate is after all remembered by them as having been based on justice and law and order which governed through consultation and with the consent of the people – the very antithesis of Abu Bakr al-Baghdadi’s ersatz caliphate. Graeme Wood and other journalists may mistake the ostensible trappings of Islamic history for Islam itself, but most Muslims know better. 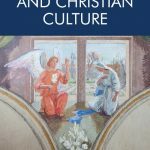 It is a genealogy of ethics and morality that connects them to their pious forebears, not a genealogy of similarly-named institutions that are emptied of such moral content. And what about jihad – the ultimate scary word that conjures up unprincipled violence for most Westerners? Again, early history and its sources come to the rescue. Jihad (struggle; striving) has many components in the Qur’an; the most important of which is sabr or patient forbearance to be constantly exercised in the middle of life’s vicissitudes. Jihad also includes qital, fighting in self-defense when attacked by an enemy that refuses peaceful overtures. One would be forgiven for thinking that jihad meant killing non-Muslims because they stubbornly refuse to convert to Islam; this is after all how many extremists portray it and this is how it often becomes reported in the mass media. The internal contestations within Muslim communities over time as they struggled to define the legitimate parameters of the military jihad are left out of such simplistic accounts. As a result, such accounts permanently sully a concept that ultimately requires of Muslims to strive to promote what is good and right and to prevent wrongdoing without causing harm to others. Finally, and above all, the conversations that some Muslims are having today with some of their non-Muslim sojourners in the global village they cohabit never make it to the front page of our major newspapers. And yet knowledge of such interfaith and intercultural encounters helps undermine the “clash of civilisations” thesis that is predicated on implacable hostility between a reified Islam and a reified West. Both right-wing Western Islamophobes and militant westernphobic Islamist groups subscribe to the clash theory – each is a mirror image of the other. The hatemongering of these groups has resulted in incalculable harm evident in the terror-stricken world we inhabit today. Stalwart individuals of good will endowed with an unshakeable faith in the ultimate goodness of humanity however strive to rise above the fray and create channels of communication that help establish common ground and inter-religious solidarity. In the United States, interfaith groups have stared down bigots when they tried to scuttle the founding of the Park 51 Community Center in New York. In Egypt, a Muslim-Christian coalition has stood up to militants when they attacked churches belonging to minority Copts there. Such encounters produce hope and create an alternate narrative that focuses on shared values and goals, undermining in the very process the notion of the inevitability of a so-called civilisational clash. 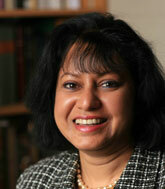 Asma Afsaruddin is Professor of Islamic Studies in the Department of Near Eastern Languages and Cultures in the School of Global and International Studies at Indiana University, Bloomington. 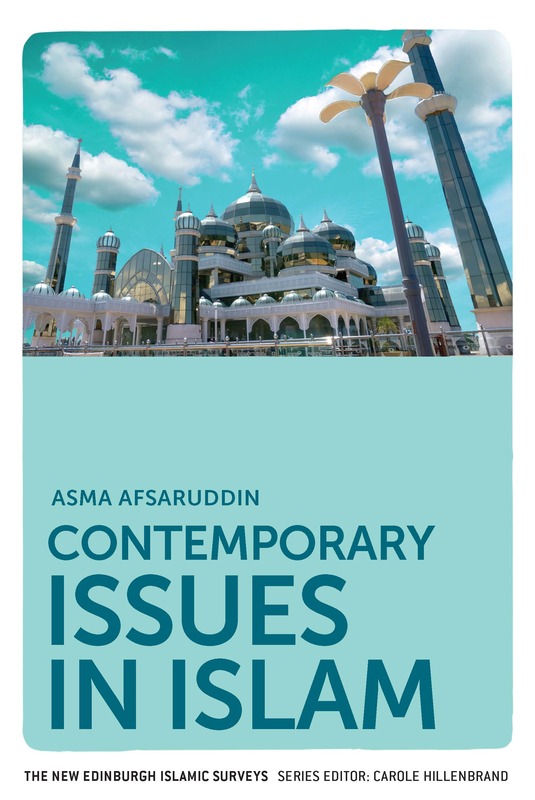 Her latest textbook Contemporary Issues in Islam, discusses these issues in greater detail and is available on inspection. To request your examination copy today please fill out the form on our website.